Located at the Seascape Resort, Ariel Dunes is ideally located in the heart of Miramar Beach - Destin, Florida. 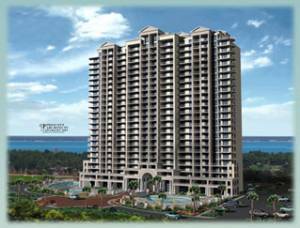 Enjoy breathtaking views of the Gulf of Mexico and convenient beach access to over 2,000 feet of powder white sand & emerald green water. 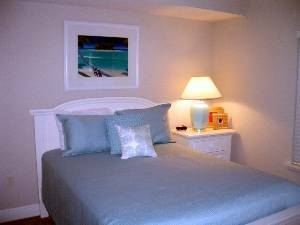 Professionally decorated with spacious open floor plan, the unit features 2 bedrooms plus a bunk room which is ideal for couples or families. 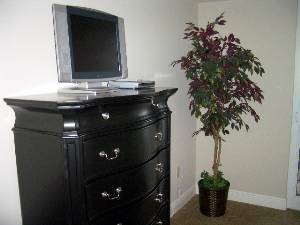 The Master Bedroom has an LCD TV with DVD player, King size bed, a private bathroom with double sinks, extra large vanity space, separate walk-in shower, and garden tub. 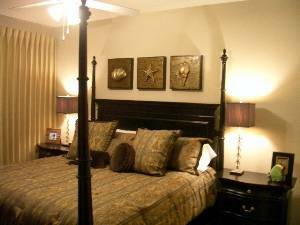 The Guest Room has an LCD TV, Queen size bed and a full bathroom with tub/shower combination. 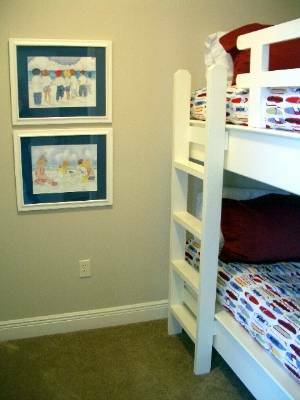 The bunk room has bunk beds perfect for children. The kitchen has been fully equipped with all utensils, plates, cookware, can opener and toaster. Side by side refrigerator with filtered ice and water, dishwasher, self-cleaning oven and a built-in microwave. 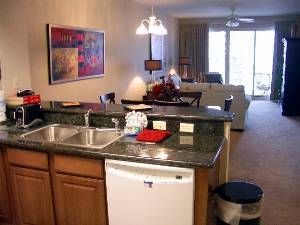 There is also a laundry room with washer/ dryer. The Kitchen opens up to the spacious Dining and Living Room areas. A large eight-foot sliding glass door opens from the living room to the patio and offers beautiful views of the beach and the Gulf. Amenities include two pools (a combined 11,000+ square feet). As an added benefit, one of the pools is heated and features an overflowing hot tub. 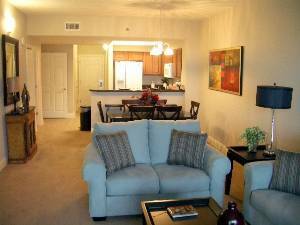 Enjoy convenient and access to walking, biking, tennis courts and golf. Ariel Dunes has 2 gated entrances. 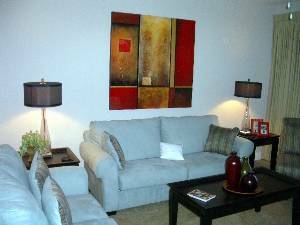 Walk to a wide variety of shopping and dining or take a short drive to visit Silver Sands Factory Stores, (the nation's largest designer outlet center) or Destin Commons, where you will find casual dining, elegant boutiques and a movie theater. Downtown Destin is also nearby where you will find the world's largest privately-owned charter fishing fleet. There are seven championship golf courses close by and 13 more championship golf courses just a short drive away. The kitchen has been fully equipped with all utensils, plates, cookware, can opener and toaster. Side by side refrigerator with filtered ice and water, dishwasher, self-cleaning oven and a built-in microwave. There is also a laundry room with washer/ dryer. Ariel Dunes features convenient beach access to over 2,000 feet of powder white sand & emerald green water ~ Breathtaking views of the Gulf of Mexico ~ Spectacular views of Choctawhatchee Bay ~ Drive-through main entrance ~ Expansive pools in excess of 11,000 square feet ~ Beach service ~ Whales Tail Beach Bar & Grill ~ Seaside dining & live entertainment ~ Water sports rentals including chairs and umbrellas.